ABOARD USS ABRAHAM LINCOLN, IN THE VIRGINIA CAPES OPERATING AREA – When the sailors of the Abraham Lincoln Carrier Strike Group leave Naval Station Norfolk for deployment this spring, some will be returning to Virginia afterwards and others won’t due to a homeport shift taking place during the deployment. 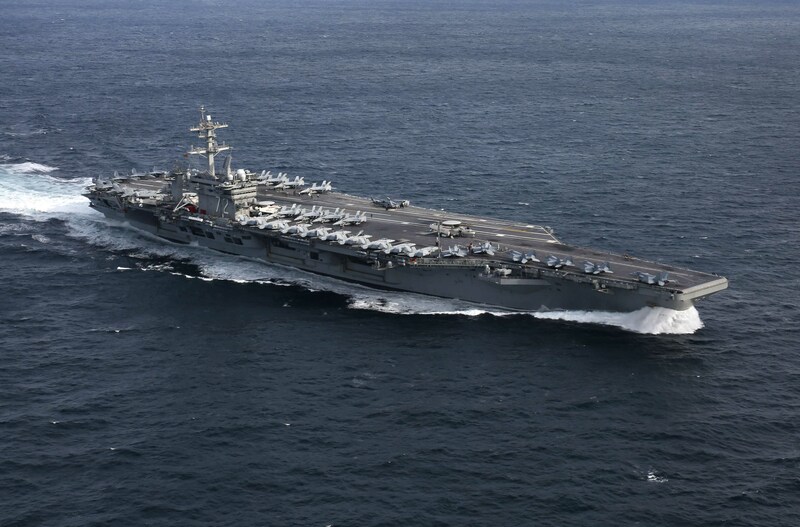 USS Abraham Lincoln (CVN-72) had previously been a West Coast carrier but came around to the East Coast for a mid-life Refueling and Complex Overhaul from March 2013 to May 2017. The Navy intended to bring the carrier back to the West Coast and eventually decided to follow the same model as its predecessor, USS Theodore Roosevelt (CVN-71), which conducted all of its pre-deployment workups in Virginia and then pulled into San Diego after conducting a regular global deployment. While that model makes the most sense in terms of the readiness of the ship and getting out for a timely deployment, it creates an administrative mess. Some sailors on the crew will conduct the deployment and then stay with the ship in San Diego. Others will conduct the deployment and then leave the ship so they can return to Norfolk and take a job with a different command. “In short, we worked with our headquarters in writing and generating 3,000 sets of orders accounting for 1,600 single sailors, 1,400 sailors with dependents; and overall this will affect about 6,000 sailors and their family members,” Chief Personnel Specialist Michael Rangel, Lincoln’s homeport change coordinator, told reporters aboard the carrier on Jan. 28. Single sailors versus crewmembers with dependents are facing different sets of challenges related to the homeport shift. The effective date of the homeport shift is Oct. 31, and any moves to San Diego need to be made within 180 days of that date. However, for those sailors with children, many families will want to move this summer so as not to disrupt children in school. At that point, though, Lincoln will be mid-deployment and the sailors will not be around to help their families move. Lincoln Executive Officer Capt. Robert Bibeau said during the media roundtable that crew will be given two-week leave blocks ahead of the deployment this spring, and some sailors may choose to move their families during that time, but those that do would be moving their children mid-semester. For single sailors, their housing allowance won’t bump from the lower Norfolk-area rates to the higher San Diego-area rates until the aircraft carrier is physically docked in San Diego – so those interested in moving their belongings to a San Diego apartment ahead of the move would have to pay some of the higher housing costs out of pocket for the duration of the deployment. Single sailors may choose to deal with the move after the deployment, when they could live on the ship or in privatized military housing until they could secure an apartment in town or other living arrangements. The carrier’s commanding officer, Capt. Putnam Browne, told reporters earlier in the day that his crew of about 2,800 had about 60 new sailors joining the crew each month, due to the constant rotation of personnel coming and going. Lincoln Command Master Chief James Stedding said during the roundtable new sailors coming to the carrier would have an easier time with the move, due to the ship already being considered a San Diego ship from a detailing standpoint. “What’s happening is there’s a lot of people being detailed and ordered in that are actually from the San Diego area, coming to the ship because the ship’s about to deploy, and it’s kind of starting the dynamic of individuals that have families are starting to be detailed because the detailing process now is saying San Diego when people come up for orders,” he said, which has drawn the interest of sailors whose families are already in San Diego and who are looking for a next assignment to stay in the same area. In that case, the sailor may come to Norfolk for pre-deployment training and then conduct the deployment while his or her family remains in California, and then would return to them in San Diego later this year. The carrier has already conducted three town hall events to go over the details of the homeport shift and “to put people’s minds at ease and ask those tough and hard questions,” Stedding said. As the move grows nearer, Stedding said he has an ombudsman team of six volunteers who are helping ashore with the families and passing concerns and problems on to Lincoln’s command triad as needed. “The network and the process is in place to kind of handle, to know that while we’re gone there’s somebody advocating on their behalf on shore side,” he said of the ombudsman team’s role with the families during the deployment. The Nimitz-class aircraft carrier USS Abraham Lincoln (CVN 72) transits the Atlantic Ocean during a simulated strait transit on Jan. 30, 2019. US Navy photo. Due to the nature of Navy personnel constantly moving, leaders said during the roundtable that things have been pretty smooth so far and the families already making preparations haven’t had any major difficulties. “There was very little trouble with individuals putting themselves on the housing list. A lot of them have already gotten stuff back saying, hey, we’re ready, you can start choosing housing out in San Diego,” Stedding said. Browne, the ship captain, praised everyone involved in the homeport shift effort. “It is a little bit tough to manage, but we have a phenomenal administrative department and the (Navy Personnel Command) folks in Millington have really been bending over backwards – in fact everyone has – Fleet Forces Command [when the details were announced in July] was bending over backwards … to get this homeport change put through,” Browne said. As for the Navy’s physical and economic presence in San Diego versus Norfolk, Naval Air Force Atlantic spokesman Cmdr. 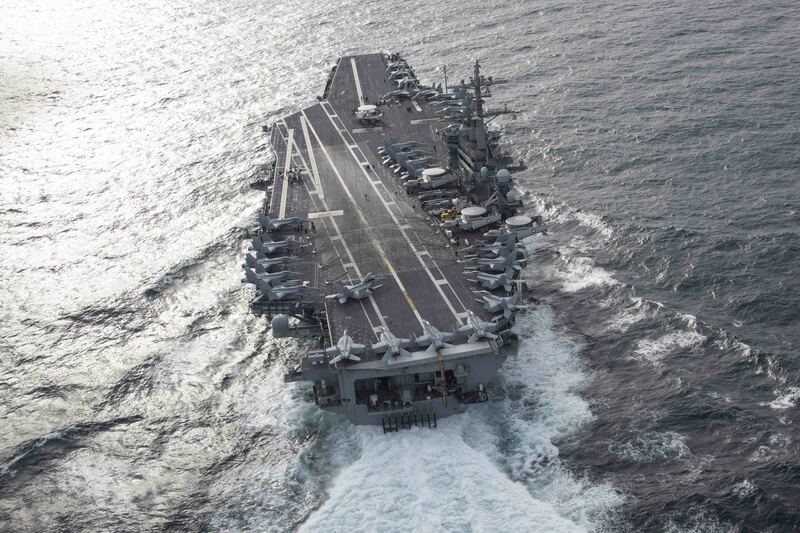 Dave Hecht said it’s a wash, since West Coast-based carrier USS John C. Stennis (CVN-74) departed for deployment in October and will end the deployment in Norfolk ahead of the carrier’s own mid-life refueling. “While we do have a lot of sailors and spouses and children that are leaving the (Norfolk) area and apartments are being vacated and houses are going up for sale, you do also have to recall that we have the John C. Stennis, which is coming in,” he said.